A caffè latte, usually just referred to as a latte these days, is a specialty coffee drink that is made up of three basic parts: steamed milk, espresso and flavor shot(s). What makes a latte a latte as apposed to a cappuccino is the light topping of foam. 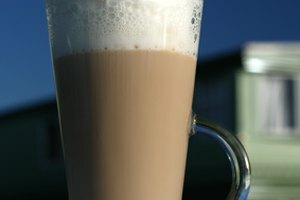 Cappuccinos have a deeper layer of foam and less liquid per cup, whereas lattes have more liquid and less foam per cup. 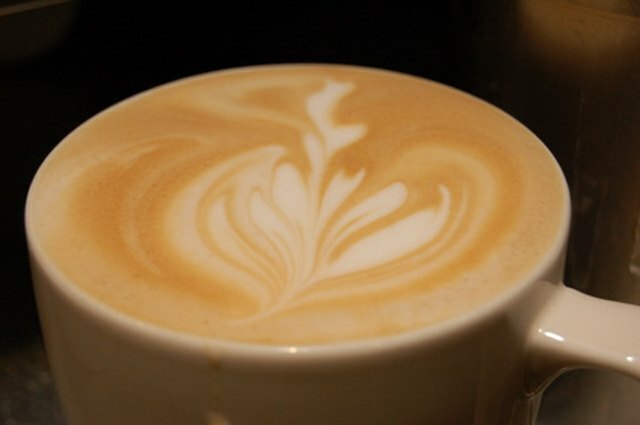 There are many different types of lattes, depending on the type of milk and flavor shot(s) added. 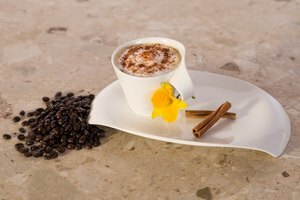 Most cafes in North America will make their lattes with 2 percent milk, but you can request different milk to be used depending on your dietary needs. Usually a customer can choose from nonfat, whole, 2 percent, soy or lactose-free milk. Choosing your own milk allows lactose-intolerant, vegan or calorie-conscious customers to enjoy a delicious latte without dairy or without fat. 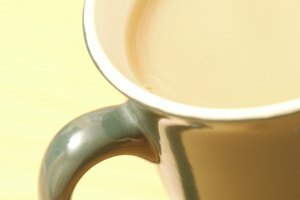 A shot of syrup can be added to a latte for extra flavor. The syrups available to choose from depend on the brand and range of syrups used. The most commonly used and available flavors available are vanilla, hazelnut, amaretto, peppermint, butter rum, English toffee, caramel, butterscotch, Irish creme, cinnamon and almond. The name of the flavor may vary depending on the brand of syrup. Diabetic or calorie-conscious customers can also choose from a range of sugar-free syrups. Seasonally available festive lattes contain flavor shots that often remind customers of a particular festive season. 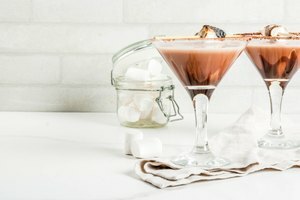 Some examples of common festive lattes include pumpkin spice or pumpkin pie, caramel apple, gingerbread, peppermint and eggnog. Festive lattes are usually topped with whipped cream instead of foam for an extra special treat. Based in the Toronto area, Krys Kingston began writing professionally in 2010. Kingston currently writes for eHow and Answerbag. She is a skilled painter, draftsman, sculptor. Kingston has a Bachelor of Arts from the University of Western Ontario. She also is a chartered herbalist with a focus on pregnancy and childbirth. SKingston received her chartered herbalist diploma from Dominion Herbal College.